Whoopi Goldberg Has A Lot To Say About The Pope And Abortion. One might argue she forgot the Sixth Commandment: “Thou shall not kill.” Apparently, starring as a nun in Sister Act made Goldberg an expert. The entertainer attempted to explain why some conservatives have issues with the current Pope: “The objection to him, if I may, is that people feel, or some of the staunch Catholics feel that he’s too loose….If you’re gay, God hates you. They want to keep that going.” Speaking of Pope Francis, Joy Behar sneered, “No matter how compassionate he is, he still follows the rules of the church, anti-choice, anti-birth control, anti-divorce. Women can’t be in the priesthood.” It was left to new host — and practicing Christian —- Paula Faris to say of Francis: “He’s still standing by his values because he doesn’t think those change. They don’t change with the wind, like the culture does. He’s doing it with compassion. 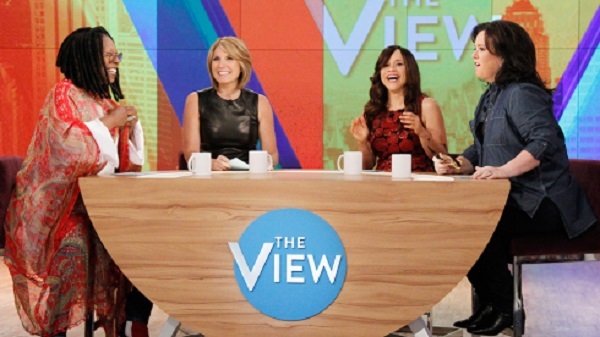 The View is an American talk show that has aired on ABC since August 11, 1997, as part of its daytime programming block.